Memorial Park, Heddon-on-the-Wall. Photo: ITV Tyne Tees (2016). 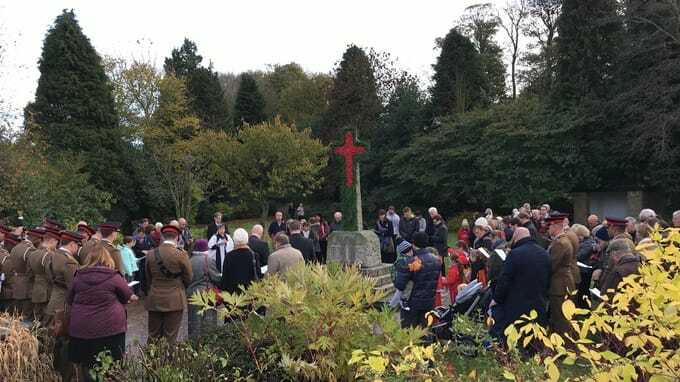 Villagers and soldiers from Albermarle Barracks gather in the Northumberland village of Heddon-on-the-Wall for a service of remembrance at 11 o'clock in the Memorial Park to pay tribute to the war dead.